Monday's opinion piece in the Wall Street Journal penned by Bjorn Lomborg didn't sit well with the Electric Drive Transportation Association (EDTA) who's response pointed to "fuzzy math" in Lomborg's analysis. "The author is mistaken on both the benefits to the environment and the benefits to the taxpayer," said the EDTA in their response. Lomborg's article contains a daunting litany of indictments against plug-in and electric cars. For example Pres. Obama's goal of 1 million electric vehicles by 2015 certainly looks like an unreachable dream at this stage. The serious issues start piling on one after another when Lomborg starts naming ways that electric vehicles are, to him, not green at all, and not economically viable. His conclusion is that plug-in or electric vehicles have problems which outweigh the benefits, and are therefore being pushed too early to be viable. What are the problems? And what are the EDTA's answers to the issues Lomborg points to? First, he cites a "comprehensive life-cycle analysis" study published during 2012 in the Journal of Industrial Ecology. According to Lomborg, the study says "almost half the lifetime carbon-dioxide emissions from an electric car come from the energy used to produce the car." Further, that the manufacturing of a conventional gasoline car "accounts for 17% of its lifetime carbon-dioxide emissions." 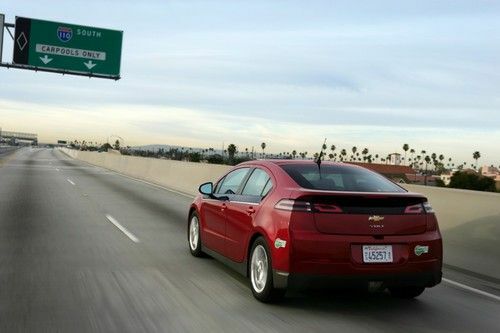 For many, the sole goal of electric vehicle adoption is to reduce greenhouse gas footprint. For this purpose, the electric car then would start with a huge disadvantage. Indeed, Lomborg later says electric cars indirectly emit about six ounces of carbon-dioxide per mile while conventional gasoline cars emit about 12 ounces per mile. Implying that while electric cars are cleaner, at the tailpipe, the energy footprint during manufacturing swamps any gain. To answer this, the EDTA describes the JIE study Lomborg referenced was inaccurate and that the authors of the study explicitly acknowledged the "limitations and uncertainties of their model and findings." Most importantly, the EDTA claims the "foundational assumption of the manufacturing intensity of electric vehicle production" is up to three times higher than widely recognized estimates of manufacturing intensity. In other words, the EDTA says the accepted estimate for manufacturing impact of electric cars is much closer to that of gasoline cars, meaning that electric cars do not start with a huge disadvantage. The fact we should take from both sides of the argument is that every car, and every manufactured object around us, makes an impact just from having been manufactured. Another answer by the EDTA is that the JIE study looked at a single vehicle, a single battery pack, and limited battery chemistries. As the EDTA said, "This is certainly not an accurate picture of today’s production of plug-in vehicles." The next point Lomborg made is that battery packs fade over time, and indeed they do. Lomborg repeats a caution made by the MIT Technology Review saying "Don't drive your Leaf too much," using that meme to suggest electric vehicles won't see much driving and therefore won't be making as much positive impact on greenhouse gas issues. While the EDTA didn't directly answer this point, there are a few obvious flaws in that assertion. First, the widely recognized best tactic to lengthen lithium-ion battery lifespan is to not charge to 100% except when absolutely necessary. That's a very different recommendation than to not drive very much, because you can still drive the car a lot so long as the battery pack is rarely charged to 100% full. As Lomborg says, the more often an electric vehicle is driven, the more it displaces gasoline consumption, and the greater environmental gain is made with the car. Lomborg also skipped over a couple points about relative emissions footprint over time. First, Gasoline engines also fade over time, and as they do their emissions footprint increases. Second, as the EDTA noted, the electrical grid is getting cleaner all the time, if only because coal plants are being supplanted by renewable energy and natural gas plants. Together, these two trends mean that over the age of a gasoline car it gets dirtier every year, while the electric car gets cleaner every year. The EDTA posting closes by describing some math that the taxpayers really need to see. Namely, the "billion dollars a day we spend on imported oil" (sent outside the U.S.), the economic and environmental costs of over-dependence on a single energy source (fossil oil), and an accounting of the full costs required to maintain access to fossil oil supplies. In other words, to what extent was the Iraq and Afghanistan wars due to the U.S. dependency on fossil oil that is increasingly available only in the Middle East? I think you all missed a key point. They are talking only about the Co2 produced by burning the gasoline, no one is properly accounting for the C02 produced from creating the gasoline in the first place. If that gasoline is oilsands based we are talking about burning 2200 cu ft of natural gas and 49kwh of grid electricity to turn a barrel on bitumen into 23 gallons of gasoline ( and that’s a BEST case). Even Argonne National Laboratory study ( which handily debunks the report) accounts for only 1/3 of the Co2 produced creating gasoline as they make best case assumptions. Just because the C02 was released in Alberta doesn’t make it free. I think you missed a key point. Lomborg is talking only about the Co2 produced by burning the gasoline, he is not properly accounting for the C02 produced from creating the gasoline in the first place. If that gasoline is oilsands based we are talking about burning 2200 cu ft of natural gas and 49kwh of grid electricity to turn a barrel on bitumen into 23 gallons of gasoline ( and that’s a BEST case). Even the Argonne National Laboratory study ( which handily debunks the report mentioned by Lomborg) accounts for only 1/3 of the Co2 produced creating gasoline. Just because the C02 was released in Alberta doesn’t make it free. I can only assume that Lomborg is blissfully unaware of the real math, surely he is not just spewing these falueshoods for internet hits? say to sell more books? In the end game, ICEs will never run on renewables and EV can. Please don't bring up biofuels that are efficient only at bringing in political contributions from farm states. The inherent energy conversion inefficiency of bio fuel sources at about 5% is easily swamped by solar in the 12-24% conversion efficiency DIRECTLY to usable power....electricity!